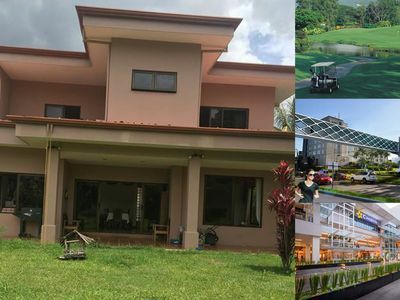 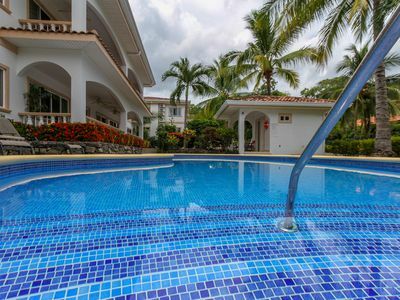 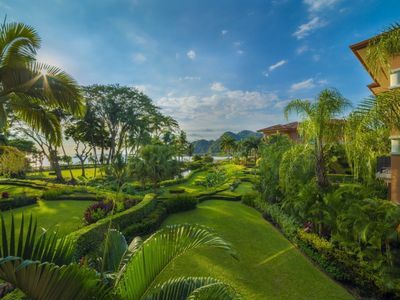 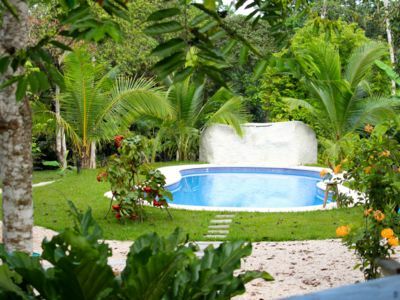 Located on a quiet hilltop in Tamarindo with spectacular unobstructed ocean and forest views, Casa Bambora is a complex/villa just 5 minutes walk from the main strip in Tamarindo where you can find a wide variety of restaurants, stores, nightlife and more and is just 10 minutes walk from world famous Tamarindo beach. 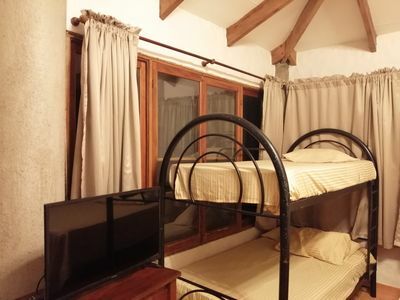 Casa Bambora can host groups of up to 8 people in 4 studio's so if you require more than one studio please send us a message and we will be happy to provide you with the additional listing numbers to help you find them on VRBO/Homeaway. 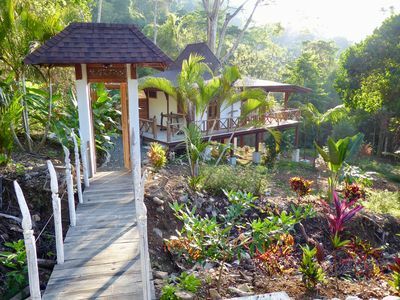 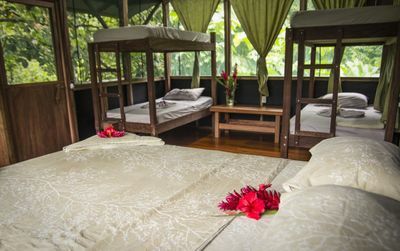 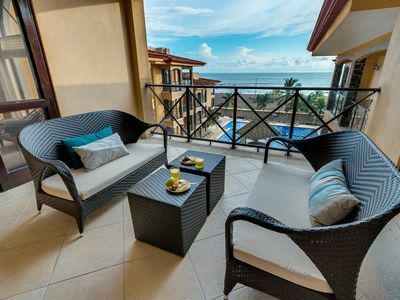 Each studio here at Casa Bambora is very private and quiet and is available nightly or weekly, accommodates 2 people and is equipped with a full kitchen, AC, 32' HD TV with cable, wireless Internet, large bathroom with hot water, king size bed and private balconies or patio on the first floor. 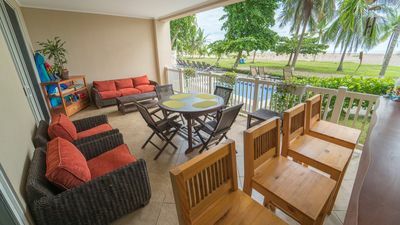 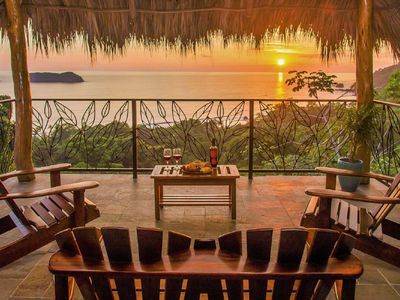 Up on the fourth floor of the complex is a shared furnished observation deck with an amazing 360 degree view, great for coffee in the morning while enjoying the spectacular ocean views and wide variety of birds that visit frequently, or a cold drink while enjoying the amazing sunsets over Tamarindo bay! 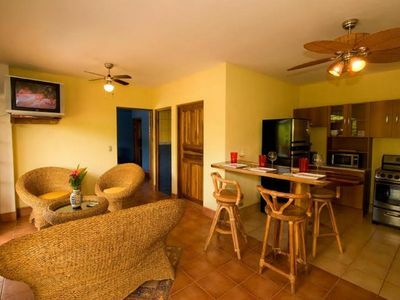 Down on the first floor is Casa Bambora's bar with fully equipped kitchen and BBQ area, this is where the guests enjoy spending the majority of their time socializing and cooking up the catch of the day, or just relaxing to the soothing sound of the waterfall at the pool which is surrounded by a tropical garden with plenty of hammocks and chairs to lounge around in. 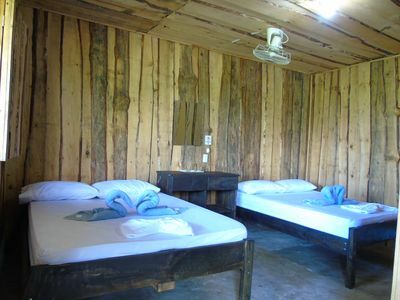 Guests at Casa Bambora also have access to laundry facilities as well as onsite parking and myself and staff here at Casa Bambora will make you feel right at home and are happy to give you advice about anything you need to know about the area, best restaurants, tours and places to visit. 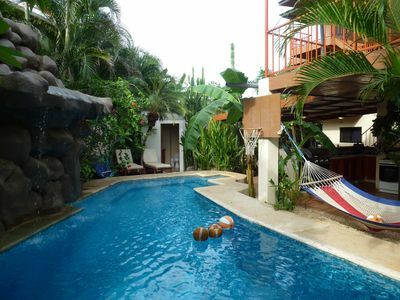 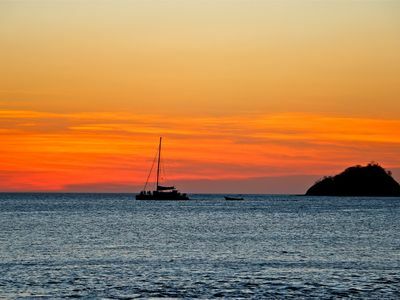 Having bought the property in 1992, I was able to have the pick of the best view lots in Tamarindo with the easiest and closest walk to town. 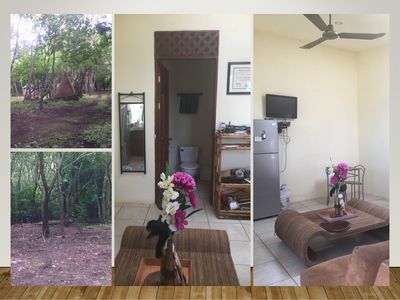 Casa Bambora is just high enough to see over the treetops and is one of the only lots in Tamarindo with unobstructed views of the San Francisco Estuary in the Las Baulas National Park as well as spectacular ocean views that span Playa Langosta, Tamarindo and Playa Grande. 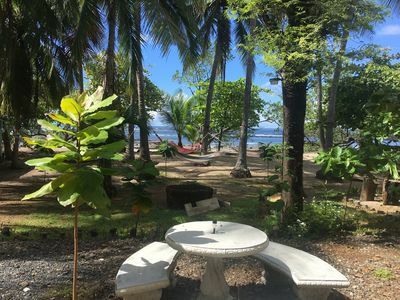 If your looking for an affordable place in a tropical paradise with beautiful beaches and great surf, Casa Bambora is a great choice! 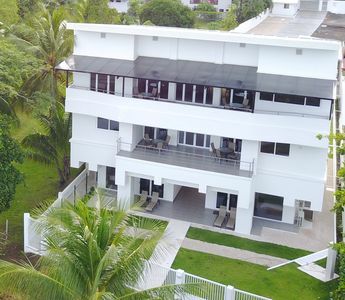 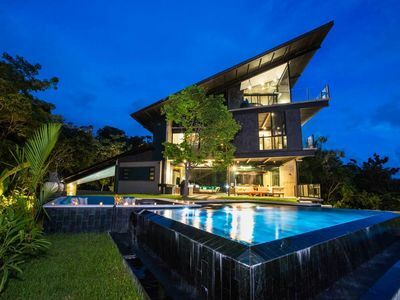 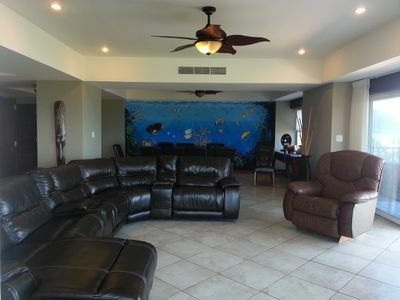 Brand New 13BR Beachfront Luxury Party House! 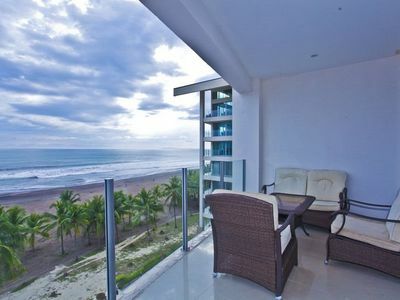 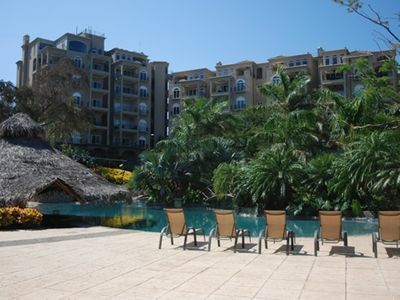 Ocean Breeze #13 Beautiful 2 bedroom Ground floor condo!